In June of 2006 I retired from teaching after twenty years as the Art Teacher at Bacich Elementary School in Kentfield. I enjoyed the wonderful experience of bringing art into the lives of children by working with them in a variety of art media and introducing them to the lives and works of many famous artists. I now volunteer several times a month teaching art lessons for my grandchildren’s classes at Neil Cummins Elementary School in Larkspur. Since my retirement I am able to devote more of my time to my own artistic endeavors. I enjoy painting in both oil and watercolor. My subjects include Still Lifes, Landscapes, Outdoor garden settings, and Botanicals. I am a native Californian. I was born in San Francisco, grew up in Marin County and was educated at local schools. I graduated from San Francisco College for Women with a major in Art and attended graduate school at Dominican College where I received my California Elementary Teaching Credential. Over the years I have had the opportunity to study with numerous local artists. I have taken classes and attended workshops in watercolor and oil painting throughout the bay area. In October 2013 I received A Certificate of Completion from the Botanical Art Certificate program at Filoli, in Woodside California. 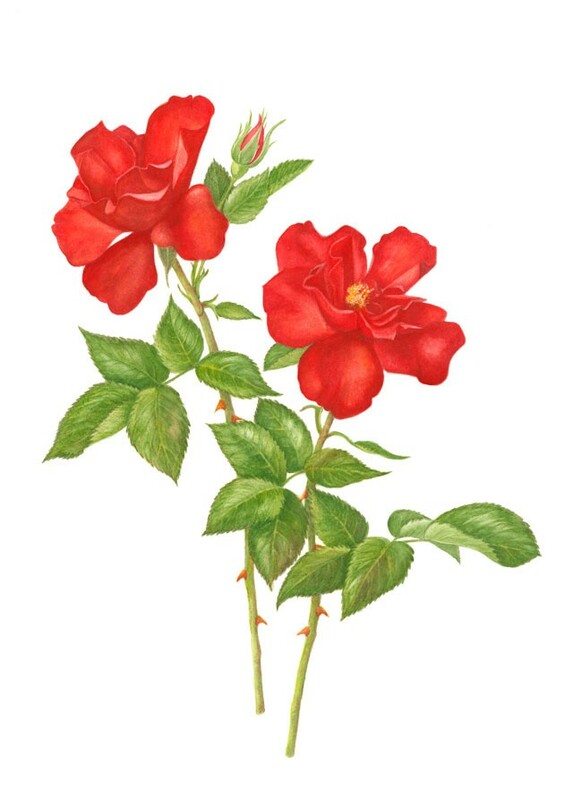 At Filoli, while completing the coursework and working on my final project, I had the wonderful experience of learning from several outstanding Botanical artists. My work was accepted to the Filoli Spring 2010 Teacher Student Exhibit and to the Filoli International Juried Botanical Art exhibit in the spring of 2014.
at the University of California Botanical Gardens in Berkeley. 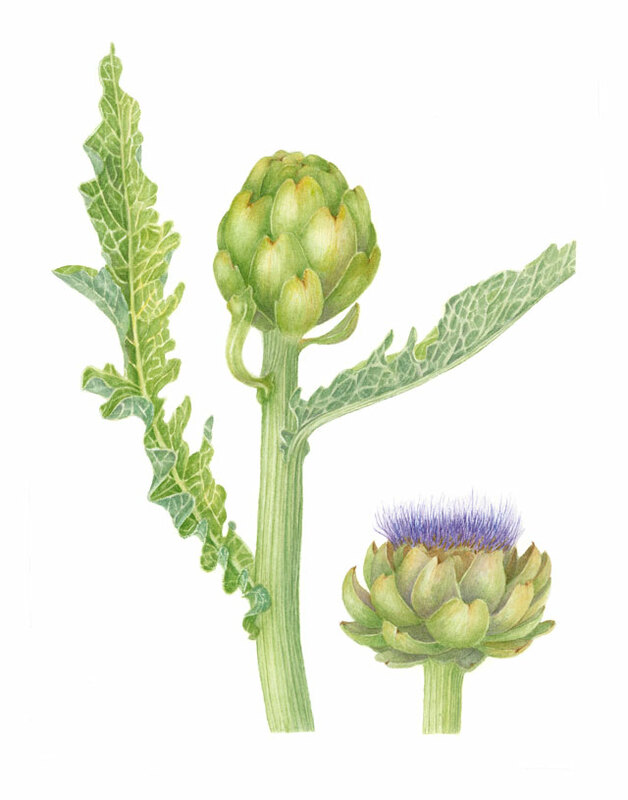 My painting Cynara solymus “Artichoke” was accepted to the ongoing NCalSBA ( 2013- ) Alcatraz Florilegium. I am a member of the Marin County Watercolor Society and I have exhibited my work in several MCWS shows. My paintings have also been accepted to juried exhibitions including the Falkirk Cultural center’s 2008 Food Show, the Northern California Aqua Areas 2008 Watercolor Exhibition and the Falkirk Cultural Center’s 2008 Bay Area Artists’ Exhibition. I have also exhibited my work in several local art shows. In October through December of 2011 I had a solo exhibit of my work at the Mt. Tamalpais Club in Larkspur CA. The show included twenty original watercolor paintings and twenty original oil paintings. My Paintings are on display in private collections throughout the United States and Europe. I live in Kentfield, with my husband Richard. We have three grown children and two grandchildren who all live in Marin County.